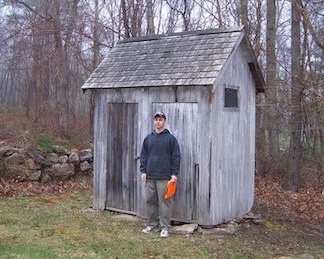 On the corner of School House Road lies a small red one room building. Inside, in the front of the room, stood a teacher’s desk, on which was placed a few old pencils. The blackboard was, amazingly, still intact. On the floor, near the doorway, was a bright red piece of wood which was used to cover the “tobacco hole,” the place where colonial students disposed their tobacco before coming to class. These are the descriptions of the Burrows Hill Schoolhouse from a 1993 article, “It was moving day for Burrows Hill School” written in The Chronicle. The Burrows Hill Schoolhouse is one of nine one-room schoolhouses in Hebron, Connecticut that remains standing, and the oldest one to date. 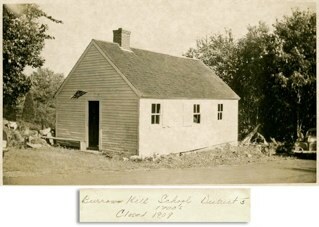 The original Burrows Hill Schoolhouse was built around 1730, when some of the earliest families in the Burrows Hill area, such as the Porters, Macks, Skinners, and Tillotsons realized that a school was necessary for the education of the increasing number of children in town. The school operated from its start until between the years of 1834 through 1860, because of the decline in the number of children in the Burrows Hill area. Desks were removed from the inside the schoolhouse and transferred to the Hope Valley section where, at the time, the population was greater. Later, around the 1860’s, the Burrows Hill Schoolhouse reopened when Hope Valley experienced a decline in population. The Burrows Hill Schoolhouse flourished into the 1870’s, until the population gradually declined in the early 1900’s. Around 1911, the Burrows Hill Schoolhouse offered its last school session to the town of Hebron, before closing its doors. Students were then transferred to Hebron Center School. While no longer in use, the Burrows Schoolhouse is one of the oldest buildings within our town (some argue it is the oldest existing building to date), and now a historical monument. The Hebron Historical Society is responsible for maintaining the foundation of the building. 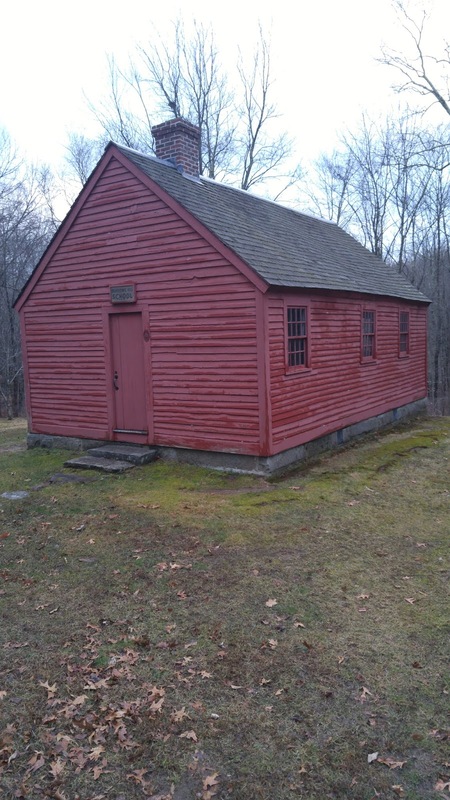 Since its founding, which is believed to be somewhere around 1725 through 1735, the Burrows Schoolhouse has been through several refurbishings and restoration projects. 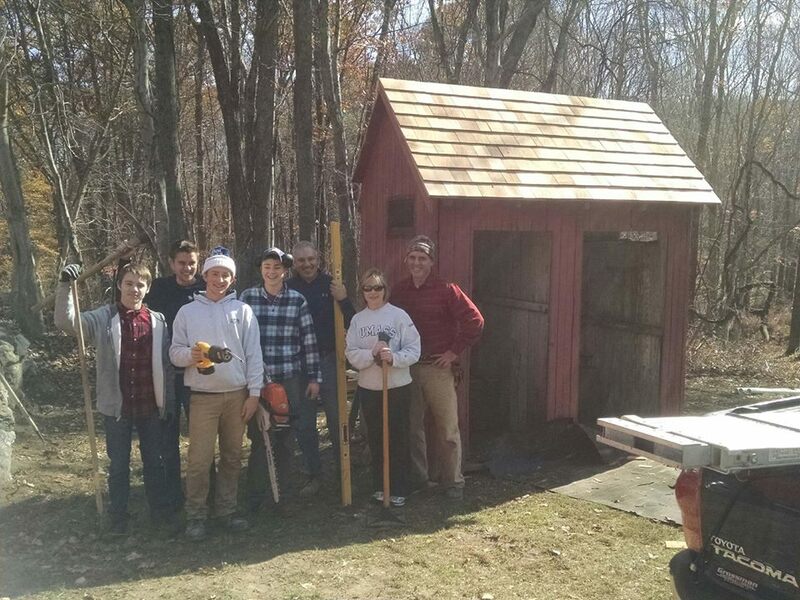 In the past year and into 2016, Ron Vitarelli from Hebron Boy Scouts Troop 28 has repaired the outhouse at the Burrows Hill Schoolhouse as part of his Eagle Scout Project. 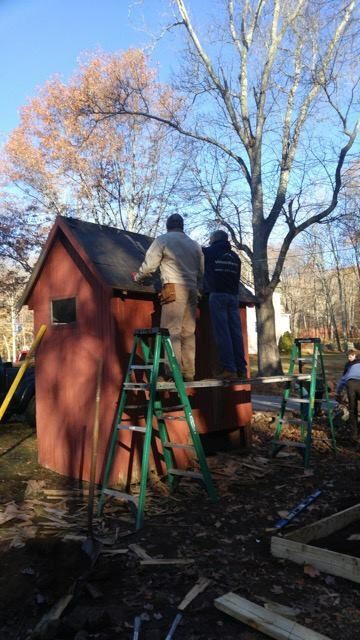 Ron began by taking down and cutting up the maple that was overhanging the outhouse and then began repairing various parts of the outhouse from replacing boards, painting the entire building, installing the stone for better drainage beneath, and moving the outhouse back to its original foundation. 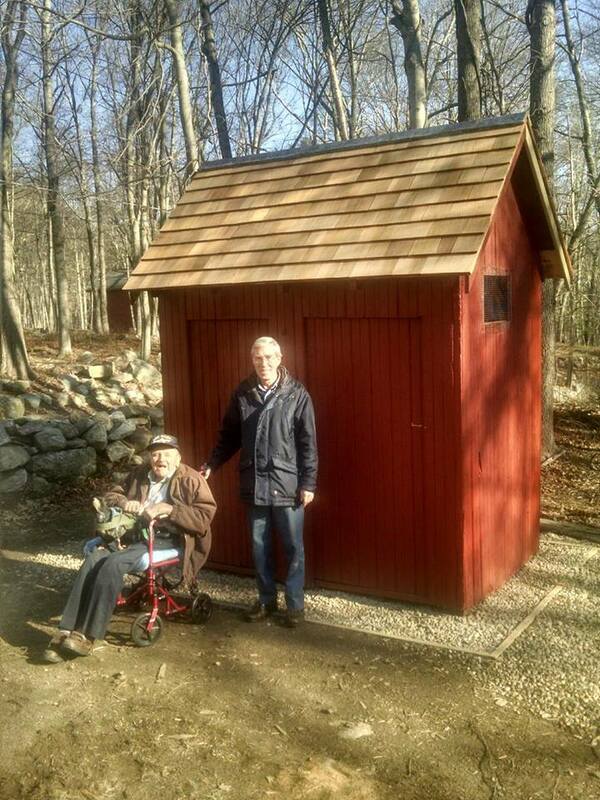 Ron and his fellow Eagle Scouts have refurbished and restored the outhouse for the public eye. While Ron’s renovation is the most recent renovation on the historical building, it is certainly not the first. The Burrows Hill Schoolhouse has a long list of renovations just in the past twenty five years. 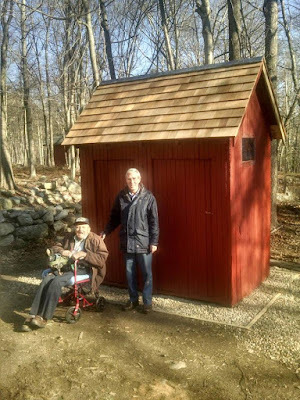 Ben Staba and his son-in-law, John Hoban, originally supplied and installed the Burrows Hill Schoolhouse eighteen years ago (see below). And now, Ron Vitarelli has followed up these repairs for the outhouse at the Burrows Hill Schoolhouse as part of his Eagle Scout Project. 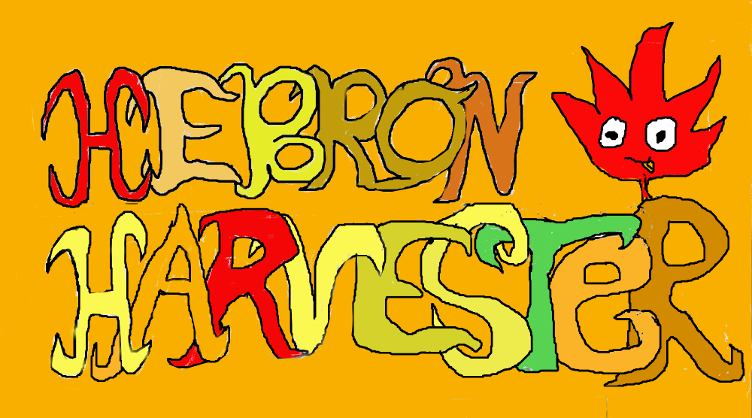 The Hebron Historical Society is very thankful for Ron Vitarelli’s assistance, as well as Ben Staba, John Hoban, and Matt Siok for preserving our town’s heritage and history. Check out the Burrows Hill Schoolhouse on School House Road.